2 How does atherosclerosis develop? 3 What are the different ways of plaque attacks? 4 What are the causes of Atherosclerosis disease? 4.3 What Are the Symptoms of Atherosclerosis? Knowingly or unknowingly all of us molded our Lifestyle according to the present situations. Modern science, technology, and development has no doubt made our life easier and has doubled the life expectancy. But the changing lifestyle, sedentary habits, stress and unhealthy eating have affixed us the disease of modern civilization. There are lot may new diseases daily peeping into our world. But, the one which stood as most menacing is Atherosclerosis. So, we will explain you all the details about atherosclerosis like how atherosclerosis develops, its causes, symptoms, risk factors, Tests, diagnosis, treatment, preventive measures, diet, and lifestyle changes that can keep atherosclerosis at bay. 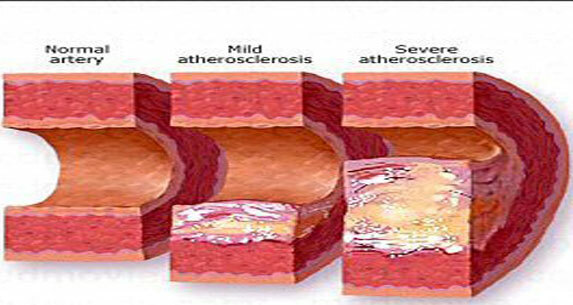 Therefore, study the complete info about Atherosclerosis and also learn the Preventive Steps to avoid this disease. Let us start with the details of What it is. It is defined as narrowing of the arteries or the blood vessels that carries nutrients and oxygen from the heart to the other parts of the body. The thickening and the stiffness of the artery slowly block it partially or entirely and reduces the supply of the blood and oxygen to the vital organs and tissues. It happens due to the clogging of the arteries with atheromas or fatty substance known as plaques. Development of atherosclerotic plaque increases the risk of blood clot and may result in stroke, heart attack and peripheral vascular disease. 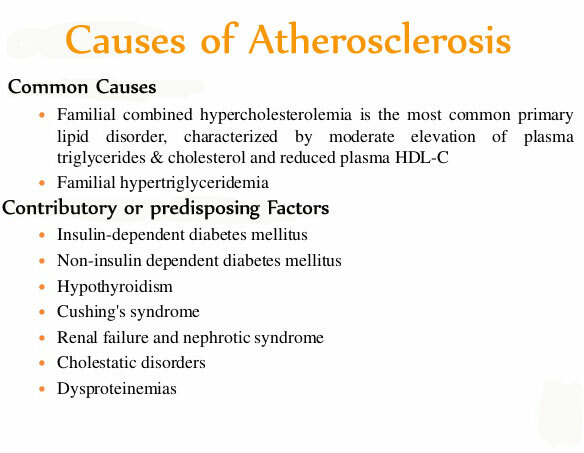 The above info is completely about etiology of Atherosclerosis. In short Atherosclerosis is a type of arteriosclerosis heart Disease (a general term used to define hardening and thickening of the arteries) that is caused by building up of cholesterol, fats and other substances such as calcium, fibrin, and cellular waste products on the walls of the artery that restricts the flow of the blood. Both Carotid Atherosclerosis & Aortic Atherosclerosis due to the blockage of respective arteries. If the aorta got damaged then the Situation is called Aortoiliac Atherosclerosis or Atherosclerosis of arota. Like wise it is for Carotid Atherosclerosis too. LDL or the bad cholesterol crosses this damaged endothelium and enters the arterial wall. It causes streaming of the macrophage white blood cells that are sent by the body’s immune system to digest the bad cholesterol and clean up LDL. But as they get filled with cholesterol, they get trapped and provokes an inflammatory response. The swollen macrophages then become a plague component. On sticking to the artery wall macrophages secrete netrin-1 that stops the macrophages from leaving. Over the time the cells and the cholesterol form plaque that accumulates in the wall of the artery and disrupts the flow of the blood. 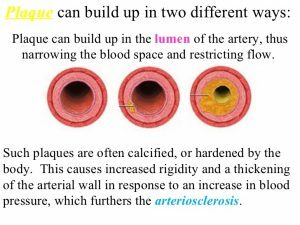 Cholesterol, Fats, platelets, cellular debris, calcium and white blood cells accumulate at the site of the formation of the atherosclerotic lesion in the innermost layer of the artery. Among them, many cells divide. Also, there is building up of fats and other debris around and inside the cell that also forms connective tissues. All this causes the thickening and the narrowing of the arteries. With time a bump is created on the wall of the arteries. As this bump gets big enough, it creates a blockage and restricts the blood flow. Many people have a misconception that atherosclerosis affects the only heart, but this process goes throughout the entire body. This condition may affect the arteries of any part of the body. Thus, just not only the heart is at risk, but atherosclerotic plaques also affect other vital organs of the body. We also read the Pathophysiology of Atherosclerosis. Now one of the important points to be noted is that it affects only medium-sized and large arteries. The site of the plaque formation and the type of artery affected varies with individual to individual. After the plaques occur, it may behave differently in the following ways. Lets us talk in detail about the plaque Attacks. There are many types of this Disease. Cerebral Atherosclerosis is one Among all these Types. What distinguishes atherosclerosis from arteriosclerosis? Definition of Atherosclerosis: It is a disease of the arteries characterized by the deposition of fatty material on their inner walls. Definition of Arteriosclerosis: the thickening and hardening of the walls of the arteries, occurring typically in old age. Therefore, a hairline variation is there for both the terms. What are the different ways of plaque attacks? Sometimes plaque stays on the wall of the artery and stops growing, attaining a certain size. They do not block the flow of the blood and thus do not display any symptoms. In the case, the plague grows slowly and in a controlled way it eventually causes any significant blockage that may cause pain in the legs and chest on exertion. If the narrowing of the arteries become severe, blood flow may get choked causing pain in the chest. If Blockage ruptures suddenly it causes the blood to clot at the ruptured site. And if the blood clot is formed, it blocks the artery. The worst outcome is when sudden rupture of plaque leads to the formation of the blood clot inside an artery and stops the blood flow. If the blood and the oxygen supply to the muscles, reduce it causes a heart attack. If the blood and the oxygen supply to the brain cut off, it results in stroke and if the oxygen supply to the extremities decreases it leads to gangrene. And all of them are life threatening conditions that may result in death. Therefore, be aware of all these things. So, avoid the foods that cause Plaques in our Arteries. 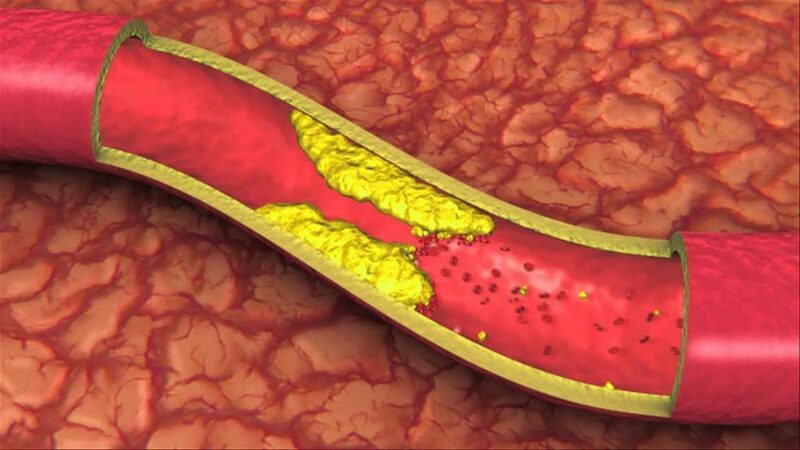 What are the causes of Atherosclerosis disease? High Cholesterol- An important cause of atherosclerosis is a high level of cholesterol in your blood. Cholesterol is a yellow and waxy substance that naturally occurs in the body as well as in certain foods that we eat. When its level increases in the blood, it starts getting accumulated on the innermost layer of the arterial wall and clogs the arteries. Over the time it gets hard and decreases or blocks the circulation of the blood to the heart and other body organs. Fat- Like cholesterol, an excess of fats gets accumulated in the arteries and contributes to the formation of the plague. Thus, if you are eating foods rich in fat you are increasing your chances of the atherosclerotic plaque build up. Aging- Atherosclerosis is also called as a silent killer as it is a slowly progressing disease that may begin in the early childhood. In a few people, atherosclerosis may progress rapidly after 30 years of age. But, in others, it does not take a dangerous form until they reach the 50s or maybe 60’s. 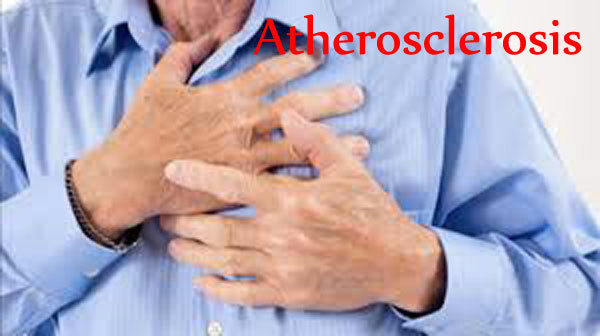 In most of the cases, no symptoms are displayed by atherosclerosis until middle or old age. With advancing age, your blood vessels and heart have to work hard to pump and receive the blood. It weakens the arteries and also the elasticity of the arteries decrease. Thus, they become more susceptible to the formation of the plaque. So as one gets older, the hardening of the arteries to some extent is normal. Smoking- Smoking speeds as well as aggravates the growth of atherosclerotic plaques in the aorta, coronary arteries and the arteries of your legs. The Coronary Arteries are the blood vessels that provide the tissues of the heart muscles with blood and oxygen. Stable plaques in the arteries of the heart prevent the flow of the blood to the heart. It may cause pain in the chest known as Angina. If sudden rupture of the plaque occurs, it may cause clotting that may restrict the flow of the blood causing lack of oxygen supply the heart muscle. It results in the death of the heart muscles and finally heart attack. If the plaques formed in the artery that supplies oxygen and blood to the brain get rupture it cuts off the oxygen supply to the brain cells and results strokes. It may cause permanent brain damage. In the case of temporary blockages in an artery transient, ischemic attacks (TIAs) may happen. It does not result in any brain injury, but it is, the warning signs of stroke. If the hardening or narrowing of the arteries that supply oxygen and blood to the legs and arms occur, then these areas suffer from poor circulation due to the accumulation of the plaque. It caused pain on walking and delayed healing of the wounds. Severe cases may cause amputations. If the renal arteries that supply blood to the kidneys are affected by atherosclerosis, it may lead to renal failure. Thera are many factors that are responsible for increasing the risk for atherosclerosis. Having a knowledge of them is crucial. Although some factors cannot be prevented, many of the risk factors can be avoided. Family History: Atherosclerosis and other heart diseases may run in families and also sometimes inherits to next Generation. 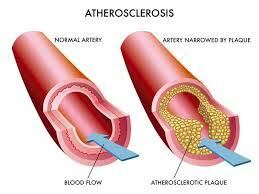 So if any of your family members suffers from atherosclerosis, you are also at the risk of hardening of the arteries. Lack of Exercise: Modernization and advanced technology to some extent have made us lazy. Sedentary habits increase the risk of heart disease and other life-threatening conditions. Diet: If your diet is high in cholesterol and fats you are increasing your risk to develop atherosclerosis. High Blood Pressure: High blood pressure or hypertension can damage endothelium of your blood vessels. It helps in the precipitation of cholesterol, fats, and other substances that form plaque and reduces the flexibility of the arteries. Smoking: Smoking damages the heart and the blood vessels. Diabetes: Individuals who have diabetes are more at the risk of developing coronary artery disease. Pain in your arms, legs. The weakness of the muscles of the legs. It is also important to acknowledge the symptoms of stroke and heart attack. 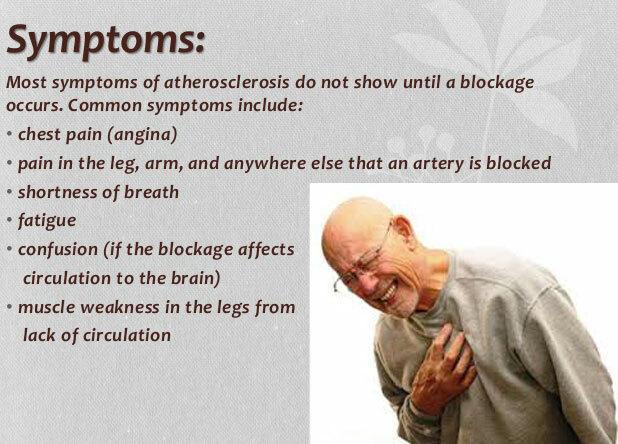 Due to Atherosclerosis, Heart Attack and Stroke may occur. And both are life threatening conditions and requires immediate medical attention. Pain in the shoulders, neck, arms, jaw and back. Thus, the above Symptoms are most common in the Patients with this disease. A cardiologist will listen to your heart sounds to detect any abnormal heart sounds. Ankle-brachial index test-To detect any blockage in the arms or legs. An exercise tolerance test or stress test. Therefore, these are the necessary test for Atherosclerosis Diagnosis. Cholesterol-lowering medications- Statins and fabric acid derivatives. Anticoagulants and antiplatelet drugs – for example, aspirin. Anti-hypertensive drugs- calcium channel blockers or Bets-blocker. Diuretics, or water pills, to help lower your blood pressure. Angiotensin-converting enzyme (ACE) inhibitors- To prevent narrowing of the arteries. Bypass surgery- In this, a healthy blood vessel, usually from the leg or chest is used to divert the blood around the narrowed artery. Angioplasty- It is surgical unblocking of the artery. Endarterectomy- In this, Removal of a part of the inner lining of an artery takes place. It happens surgically along with the obstructive deposit. Atherectomy- It is a minimally invasive surgery to remove the atherosclerosis plaques from the blood vessels. Therefore, Study the information carefully. It also will at least creates awareness about all the Treatments. If you are obese, try to reduce your weight. Stay active- Exercise regularly for 30-45 minutes as it keeps the heart and blood vessels healthy, improves blood circulation and enhances the development of new blood vessels. Taking the stairs instead of elevators are always a better option. Do not sit for long in one position, give a small break of 5 minutes every hour. Eat healthy food- Reduce the intake of foods rich in cholesterol and fats. Shift on to healthy fats that is polyunsaturated fats for example vegetable oil. Avoid trans-fats and saturated fats. Limit the intake of salt and refined sugar Add complex carbohydrates, fruits and vegetables to your diet. Avoid alcohol. Drink at least 8-9 glasses of water every day. Manage stress- Try breathing exercise, yoga, and meditation to reduce stress. The above preventive measures may help you in Atherosclerosis Prevention. Therefore, not in all the cases, but some of us may still have a chance to get rid of this dangerous Disease. We hope you find this article helpful. Stay healthy always.